Hello! 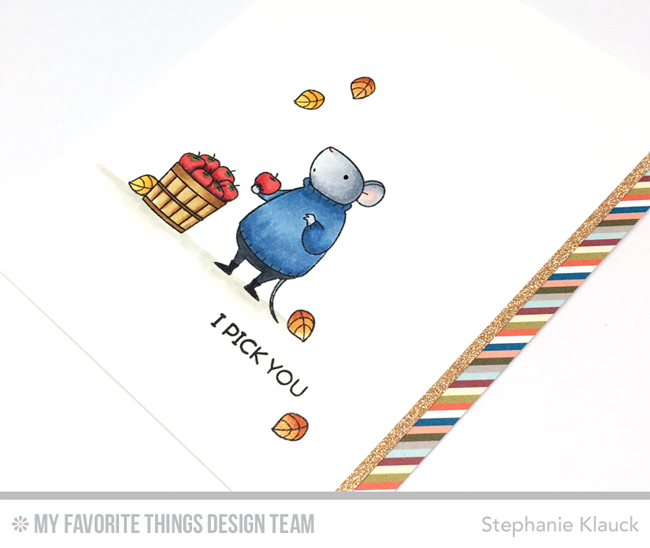 Today I have a card to share for the weekly My Favorite Things sketch challenge. This weeks sketch is one of my favourite types of layouts because you can go clean and simple with it (like I did) or you can layer it up and add a lot more detail. 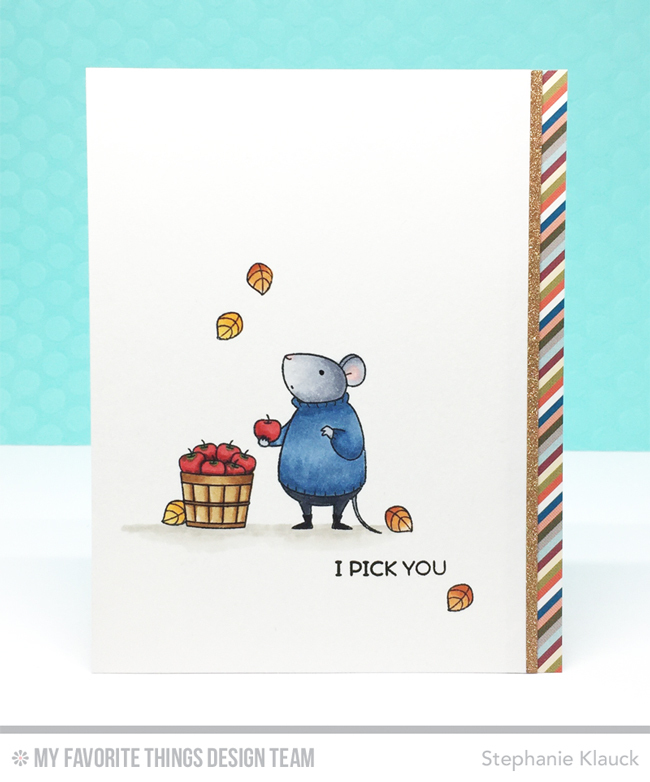 I used the Harvest Mouse stamp set to stamp a simple scene in the rectangle area of the sketch and then I added the sentiment underneath, towards to right side of the panel. I stamped some falling leaves around the main scene and then I trimmed down the panel so it was slightly smaller in the width than my A2 sized card base. I adhered the panel to a top-folding card base with a strip of striped patterned paper from the Free Spirit paper pad and a thin strip of copper glitter card stock, down the right hand side. The scene was coloured with Copic markers and I made sure to add some grey shading under the mouse and basket of apples to ground the image. 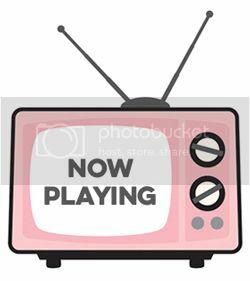 Make sure to check out the MFT Challenge blog for more ideas using this week's sketch and a chance to play along a win a prize!